July 8 - 2017 (9th) Annual Jet Boat Rally. Athabasca Alberta. Start Athabasca Boat launch. End Riverside Recreation area. Door prizes, cash giveaways, kids' scavenger hunt. Wrap up party with live music to follow at Riverside Recreation Area, with camping available. There is also camping available near Athabasca. Approx 50 mile run to finish, or 70 miles total to return back to Athabasca. Registration and first card at the Riverfront in Athabasca between 11:00 am and 1:00 pm. 2 checkpoints upstream ( 6 mile and 16 mile islands) 2 checkpoints downstream (Brytus Island and Riverside Recreation area). Final card must be drawn by 5:00 pm at Riverside Rec Area, prize give-aways and live entartainment to follow. (If you own a business or the company you work for would like to donate a door prize to help support this great event, and to get your name out there, you can drop it off at the registration booth. It would be greatly appreciated.) Thanks for all your support in the past, hope to see you all there. Cash donation event with all proceeds to be split between local charity, cash and prize giveaways, event expenses and entertainment. 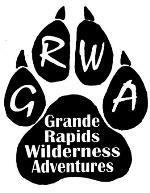 This is a for fun, not for profit event hosted by Grand Rapids Wilderness Adventures. For more info, contact Darcy or Shirley Zelman 780 689 0567 or 780 675 3784.